CrossPhysio combines traditional knowledge from different Asian forms of therapy like Shiatsu, Thai Massage and traditional Chinese Medicine with modern, western therapeutic approaches like manual therapy, osteopathy, the distortion model, Tom Myer’s muscle energy lines, trigger point therapy, etc. ; CrossPhysio simplifies these according to the universal laws of anatomy and physiology of the human body. CrossPhysio also combines the knowledge of traditional Chinese Medicine in diagnosis with the knowledge of modern science proved Bio-psycho-social Medicine. CrossPhysio is not so much a method as an integration of practical knowledge. 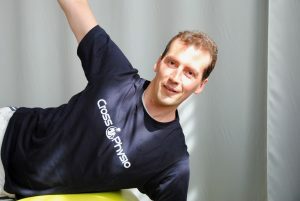 I am physical therapist based in Germany/Munich with more than 10 years experience. For more than 20 years I am practicing Qi Gong,Taiji and Kung Fu and different styles of asian massage therapies like Shiatsu and Traditional Thai Massage. I have been also running my own Kung Fu School for 6 years, with classes for kids and adults in Kung Fu, Maus Thai, Taiji, and Qi Gong. I also teach physical therapists and massage therapists in Qi Gong, Thai Massage and „CrossPhysio“. CrossPhysio is a fascial treatment that I created through combining my knowledge of asian therapies with modern western fasciae therapies. CrossPhysio treats the body with fasciae massage, highly effective exercises and also includes aspects of the Bio-psycho-social Medicine and traditional Chinese Medicine. 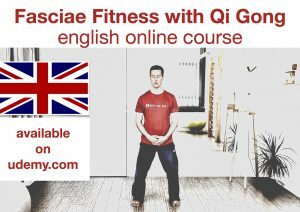 You can see some exercises on my english youtube channel here.